Since 2000, Michelle Burchett has focused her practice in the area of medical malpractice with particular emphasis on the defense of physicians, hospitals, clinics and ancillary health professionals. She has represented physicians, medical groups and hospitals insured by, among others, ProAssurance, Medical Protective Company, and IRMIA. In 2018, Ms. Burchett was recognized as an Indiana Super Lawyer in the area of medical malpractice defense. Her background in healthcare settings and practice management, coupled with her experience with a medical malpractice carrier, give Ms. Burchett a unique perspective on providing risk management advice to healthcare institutions, practice groups and physicians, and in investigating and defending medical malpractice claims. Formerly an associate in the Tax Department of a major international law firm, Ms. Burchett also has experience in tax law and corporate transactions for healthcare providers. 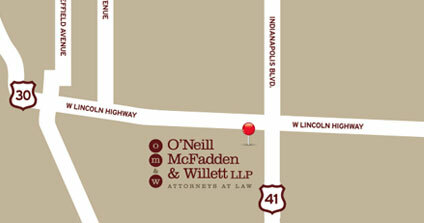 Ms. Burchett joined O’Neill McFadden & Willett LLP as a partner at the firm’s inception. From September 2007 to July 2010, Ms. Burchett was an associate with Hinshaw & Culbertson LLP’s Indiana office. From 2000 to 2007, Ms. Burchett was an associate with Spangler, Jennings & Dougherty, P.C. in Merrillville, Indiana. 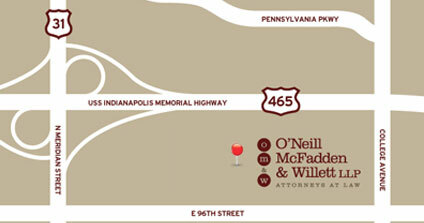 In both positions, her practice focused on the defense of medical malpractice claims. Between 1992 and 2000, Ms. Burchett worked for healthcare providers as a corporate and practice manager, and developed a specific interest in risk management, the defense of malpractice claims and medical care. 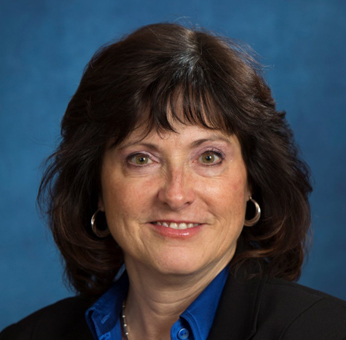 In pursuing her interest in risk management and the defense of healthcare providers, she also worked for two years as a claims adjuster at ProAssurance (formerly Medical Assurance of Indiana). From 1988 to 1992, Ms. Burchett was an associate at Clark & Stant, P.C. (now Williams Mullen) in Virginia. Her involvement in business transactions for hospitals, medical practices and physicians led to a strong interest in healthcare law. She began her legal career in 1986 in the tax department of White & Case LLP, New York. Fodor v. Levy, Lake Superior Court, Hammond, Indiana – Defense verdict for general surgeon involving colon resection. Ferrebee v. Carr, Lake Superior Court, Hammond, Indiana – Defense verdict for radiologist involving diagnosis of breast cancer. Jernigan v. Pirtle, Lake Superior Court, Crown Point, Indiana – Plaintiff’s verdict for less than $15,000 in a case in which the doctor admitted a breach of the standard of care for failing to diagnose breast cancer and the patient ultimately died. Harris v. Stang, Lake Superior Court, Crown Point, Indiana – Defense verdict for obstetrician involving a birth complicated by shoulder dystocia. Estate of Crawford v. Volkman, Lake Superior court, Gary, Indiana – Hung Jury for Emergency Medicine Physician’s failure to diagnose a myocardial infarction. Roldan v. Ham, Lake Superior Court, East Chicago, Indiana – Defense verdict for orthopedic surgeon in treatment of leg fracture resulting in shortened leg.